Particularly if you do not have another offer lined up at the time of job loss. However, severance packages and separation pay can offer a measure of financial security by providing you with several weeks or months of pay while you look for another opportunity at a different company. Though severance agreements and separation pay can provide crucial financial support at a tumultuous point in your professional life, such agreements can also be rife with pitfalls for employees, like any other contract setting forth the terms of employee compensation. Before you accept a severance package, or agree to accept an offer of separation pay from your employer, it is in your best interests to review its terms in detail with an experienced New Jersey severance lawyer, as it may be possible to negotiate a superior offer that provides a greater measure of financial security. Moreover, an attorney can ensure that you are not inadvertently waiving important rights in agreeing to the contract with your employer, such as your right to bring a claim against your employer if you were a victim of workplace discrimination or wrongful termination. 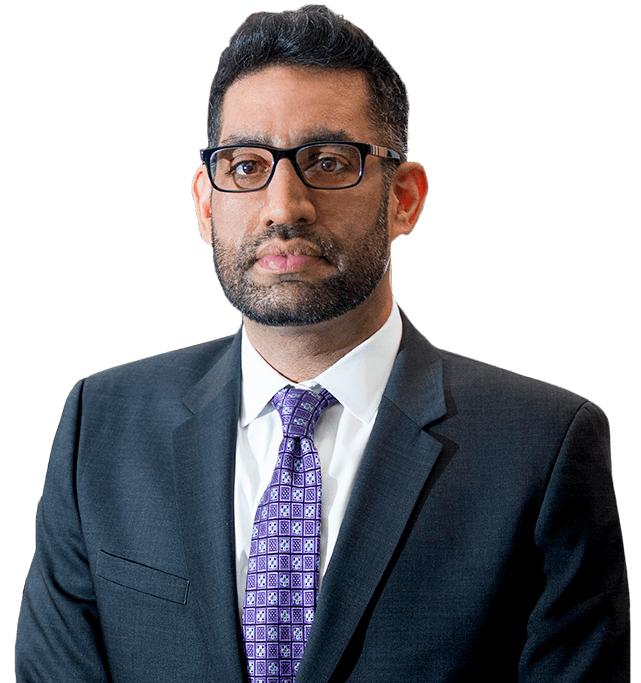 If you need assistance negotiating a severance package or separation pay, reviewing the terms of an offer, or have other questions concerning your rights to separation or severance pay in New Jersey, contact the Law Offices of Usmaan Sleemi at (973) 453-4060 for a free legal consultation. Our trusted and knowledgeable team of severance attorneys in New Jersey has many years of experience representing employees in a wide array of professions, industries, and companies throughout the Northern New Jersey area, with a focus on small to mid-size businesses. Severance Agreements vs. Separation Pay: What is the Difference? Separation pay and severance agreements, which are otherwise referred to as “severance packages,” both refer to compensation for employees who lose their jobs. However, while both separation pay and severance pay seek to remunerate employees for lost earnings, they are different concepts which should neither be confused with one another nor used interchangeably. A severance package or severance agreement is essentially a financial contract between the employer and employee. The severance agreement provides compensation for the employee in the event of job loss under certain circumstances, generally in exchange for the employee’s agreement to forfeit certain legal rights. For example, a severance package might require an employee to agree to a condition under which the employee is prohibited from suing the employer. Severance pay is only available in cases where the employee’s job loss resulted from downsizing, layoffs, or retirement, as opposed to causes like professional misconduct, fraudulent activity, criminal activity, or incompetence that caused the employee to be terminated. Though the provisions of each contract must be individually negotiated, rather than taking a one-size-fits-all approach, an initial offer of severance pay is frequently calculated at one to two weeks of pay per each year the employee worked at the company. The longer an employee worked at a company, the larger he or she can generally expect a severance package to be. While a severance package can seem very financially tempting when you are anticipating a substantial loss of income, it is of critical importance that you not rush into a severance agreement without first reviewing its contents with a skilled and experienced New Jersey severance package lawyer. As with any contract, failure to carefully and meticulously scrutinize every provision of the severance agreement could have negative repercussions for the employee of which he or she may be unaware absent review by an employment law attorney. In addition to preserving your legal rights, a severance package attorney may also be able to help you negotiate a better deal that increases compensation well above the level initially offered in the contract. Separation pay is similar to severance pay in that it is compensation provided to an employee in the event of job loss. Like severance pay, separation pay may be made available in the event of job loss resulting from retirement or layoffs at the company. The core difference between a severance agreement and separation pay is that separation pay is generally a fixed amount, whereas severance pay is generally dependent upon how many years the employee worked at the company before losing his or her job. Separation or severance pay can help to provide financial support and stability while you are between jobs. Hiring a skilled employment law attorney in New Jersey can help to ensure that you receive the best deal possible, without losing critical rights under various employee protection laws. To discuss proposed separation pay or a severance package in a free and confidential legal consultation with an experienced business law attorney, contact the Law Offices of Usmaan Sleemi at (973) 453-4060.